Mary Lillian Oliver Pattison joined her Lord and Savior on October 16, 2018. She left this world due to natural causes one week after celebrating her 95th birthday, surrounded by her three children and many loved ones. Her daughter Shirley was with her when she died. Mary, the middle of three daughters, was born in Wolf Point on October 8, 1923 to William and Helen Hines Oliver. Will and Helen established a homestead in the Grain community, north of Nashua, where they raised their children in frontier conditions. Surviving the Great Depression in those conditions instilled the unwavering faith, internal strength, resilient character and extraordinary work ethic which defined Mary. When she was fourteen, Mary’s family moved into Glasgow where she attended high school and contributed to family finances by taking a job working in the laundry at the hospital. On December 14, 1946, Glasgow native and WWII veteran, Lyman Jacob Pattison married Mary Lillian in Glasgow where they settled and raised three children Gloria Jean, Shirley Kay and Ronald Lyman. 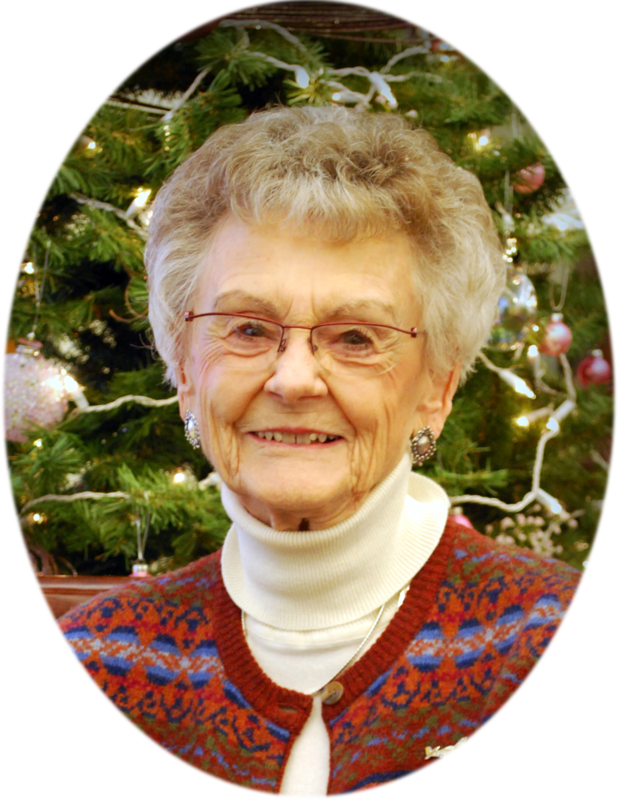 While raising her family, Mary had countless hobbies and passions, such as participating as an active member of her church community, long serving on the library board, sewing and playing bridge. Mary and Lyman played bridge competitively at national events, becoming Life Masters. She was a great student and wonderful teacher of the game. Mary was instrumental in bringing Christian Women’s Club to Glasgow which kept her involved in leading bible studies and giving her testimony to a regional audience. She balanced these many activities with her life’s truest passion, motherhood, and then grand-motherhood. Her children were always the first to volunteer her as a chaperone or specialty baker for holiday parties. She never said no. She was Ronnie’s number one catcher until his fast pitch caught her in the shin and she put down her mitt, but never missed a game at any level. After the kids were raised she became Lyman’s assistant on the farm. Mary didn’t shy away from any task including tarping grain trucks and shoveling wheat, while always having prepared a well-rounded lunch and dinner for the field. Mary and Lyman’s three children have grown to raise families of their own, instilling the values and teachings that their mother, Mary, raised them to uphold. Without question or fail, Mary was always there. She spent countless hours, turning days into weeks and months caring for her children through trying and tragic times, never expecting anything in return. She was the selfless rock of the family in so many ways, always knowing what needed to be done, and making it happen. When her first granddaughter was hospitalized in Billings, Mary maintained the night shift at Tessa’s side every night for three months. Mary’s quiet strength and unconditional support has been a pillar on which her children have built their lives. Later in life, Mary found much satisfaction working with her daughters at the Medical Arts Pharmacy. When the Pharmacy sold to the hospital Mary continued to work there, retiring on her 90th birthday. During this time she served on the Evangelical Church Council actively promoting the building of a new church and activity center. She also loved supporting the Fort Peck Summer Theatre, devoting countless hours as a volunteer and never missing a production. Mary had an adventurous spirit, whether it was a day skiing in an Eaglemount ski sled alongside her grandson, Jake, or taking a family friend up on an offer for an aerobatic plane ride over Fort Peck Lake in a P-51 Mustang. Mary earned her P-51 lapel pin which she wore every single day for the rest of her life. When asked about the pin, she would light up at the opportunity to describe her ride, and tell you that she wore it in honor of her grandson, Jake, who also wore his Mustang pin (on his wheelchair) every single day. Mary was preceded in death by her parents, her husband Lyman, sons-in-law Don Robertson and Larry Baumgartner, granddaughter Tessa Robertson and grandson Jake Etchart, as well as her sister Shirley Lucke. Mary is survived by her sister, Beverly (George) Hudson of Belgrade; her daughters Patt (Joe) Etchart and Shirley (Edwin Mogan) Baumgartner of Glasgow and son Ron of Albuquerque, New Mexico; granddaughters Mary Baumgartner, Alexa and Christen Etchart and Marissa Pattison; grandsons John (Ashley) Etchart and Derek (Andie)Baumgartner and Lyman Ronald Pattison; and great-grandchildren Lillian and Larry Baumgartner and Jacob Etchart. Mary’s memorial service will be Monday, October 29th at Glasgow’s Evangelical Church at 11:00 a.m. Her memorial preferences would be The Fort Peck Summer Theatre and the Evangelical Church of Glasgow. Mary’s warm smile, gentle generous heart, experienced wisdom, patient understanding, and her perfect chocolate cake will be dearly missed. We love you forever.